Mala bracelet (Wrist Mala) handmade with 27 beautiful Howlite (White Turquoise) gemstone beads, a large Guru-bead and a tassel. 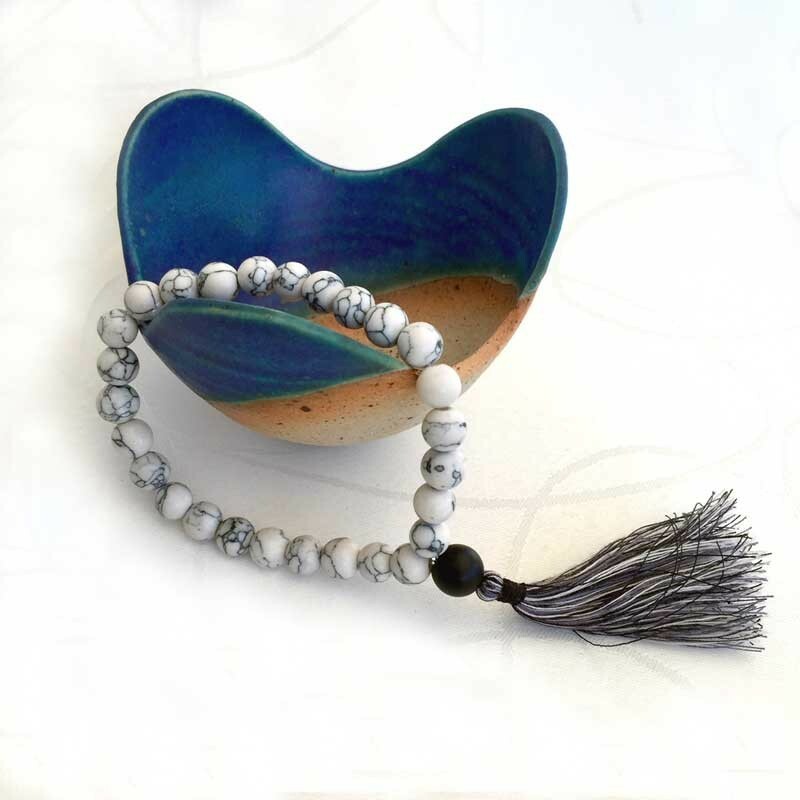 Mala bracelet (Wrist Mala) handmade with 27 beautiful Howlite (White Turquoise) gemstone beads, a large Guru-bead of Black Onyx and a tassel. 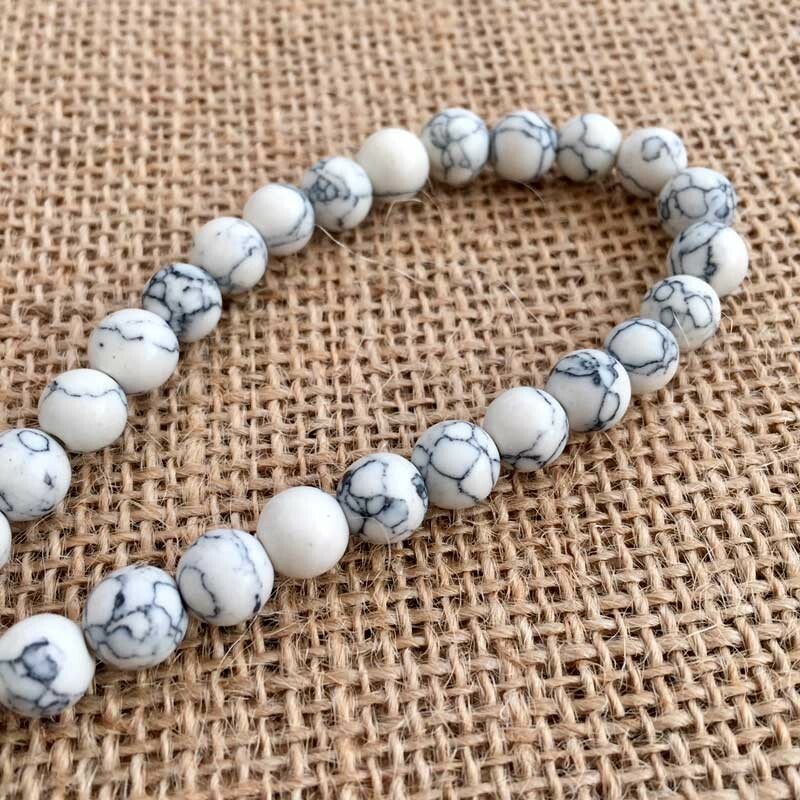 Howlite is a great stone to use when needing to reduce anxiety, tensions and stress. Howlite can be used to facilitate awareness, encourage emotional expression and assist in the elimination of pain, stress and/or rage. 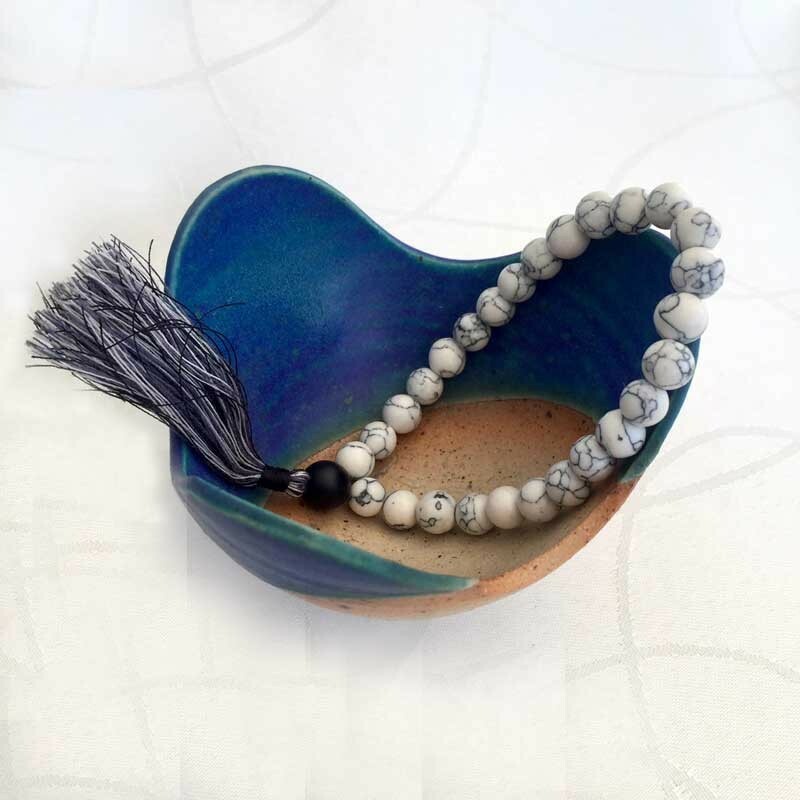 Howlite will calm and soothe the emotions, slow the overactive mind and help to achieve a deep and restful sleep.